A Lancer, Rider, Caster, and Saber. 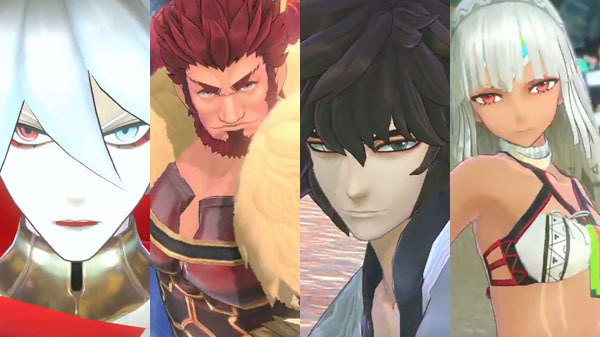 Marvelous has released four more short gameplay videos of Fate/Extella Link featuring playable Servants Karna, Iskandar, Archimedes, and Altera. Previous gameplay videos showcased Medusa, Artoria Pendragon, Lu Bu Fengxian, Cu Chulainn, Jeanne d’Arc, Gilgamesh, Gawain, Tamamo no Mae, Elizabeth Bathory, Li Shuwen, Nero Claudius, and Nameless.